NOOSA alive! Festival is 10 days and nights of music, theatre, dance, food and thought in Noosa, the Relaxation Capital of Australia. An eclectic array of 250 artists, dancers, authors and guest speakers participate in 130 events. The 2019 NOOSA alive! Festival program is currently being developed and we look forward to welcoming you to Noosa to enjoy this superb event. When: Friday 20 July until Sunday 28 July. The program includes cabaret, comedy, dance, festival of thought, film, food, free events, kids events, literature, music, theatre and visual arts. 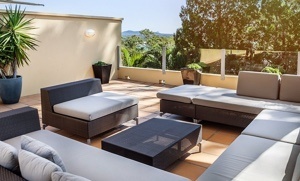 When David and Kristin Williamsons came to Noosa in 1996, the town’s credentials as an outstanding blend of built and natural environment, preserved by visionary town planning and courageous political will, was already well established. Noosa’s rain forested headlands, golden wave washed bays and pristine river were to become the backdrop for a cultural event that until Noosa Long Weekend had been limited and largely self-generated. David, Kristin and a band of dedicated friends, including violist and composer Brett Dean and restaurateur Leonie Palmer-Fisher, set about turning Noosa into a destination of cultural excellence. “Noosa is not just a tourist destination, it’s a real community, and unless you contribute to that community, you do get the feeling that you’re just perpetual tourists,’’ David said.